X-ray compliance is important for all types of medical offices, as well as other settings where imaging technologies are utilized. There are some important to-dos that must be handled to ensure compliance is both achieved and maintained. Here, learn some of the key things to do prior to x-ray compliance testing to achieve the best results. Risk Analysis: A thorough risk analysis should be performed in terms of potential security risks and threats. This includes physical security at the office, as well as virtual security, with the office’s technology and data. Identifying EPHI Systems: Which systems are being used for the handling of EPHI – electronic patient health information? This is a key aspect of x-ray compliance, of course, and there may be multiple systems in place for creating, storing, and accessing this information. Systems have to be secured in the right fashion, and data needs to be protected. X-Ray System Maintenance: Another key component to x-ray compliance is ensuring that the x-ray systems themselves are being routinely maintained and tested as per regulations. Ensure that the x-ray system is operating within manufacturer specifics, and is in compliance with FDA regulations, as well as potential statewide regulations. It’s generally easy to test, service, and maintain digital x-ray systems than traditional analog x-ray systems. Review Regulations: Regulations for x-ray compliance should be reviewed among the entire staff. Internal policies and procedures for handling EPHI and to stay within compliance must be considered as well, to ensure your staff is educated and up to date with the best practices. New office hires should also be educated with the policies when they’re brought on board. 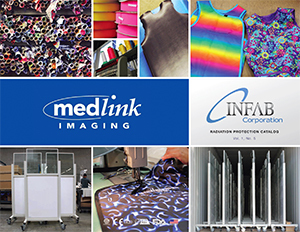 Medlink Imaging provides a large selection of the best digital x-ray systems. We also offer the cutting-edge Dicomesh Synchronized Backup and Recovery Service. For more information, contact your local dealer or calling 800.456.7800.